You really look into their eyes to see pure kindness and grace. So we visited Amritsar, the holy city of the SIkh people, and we simply fail in love with them!. Anywhere you go you see warm and peaceful people. Who Are They – Sikhism is a monotheistic faith founded by Guru Nanak who was born in 1469 to a Hindu family. 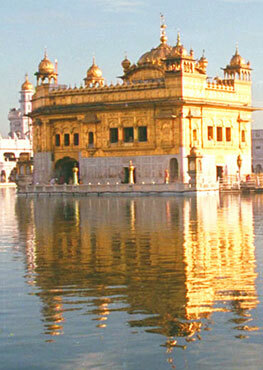 Sikhism, which began in India’s Punjab region in the 1400s, is the world’s fifth largest religion. Good Eyes – There is one common thing to all the Sikh Punjabi people we met – they all have this penetrating look. When you really look into their eyes you see pure kindness and grace. All Equal – Sikhism teaches that men and women of every race and religion are equals. When we met them they said to us “Waheguru ji ka Khalsa, Waheguru ji ki Fateh” which means “The Khalsa belongs to God, Victory belongs to God”. Colorful Turbans – Turbans are worn to cover their long hair and with respect to God. Sikhs have unshorn hair, beards and moustaches. The Sikh faith teaches us the humanitarian principles of freedom, equality, and justice. Seeker of Knowledge – Sikh, in Punjab, means disciple or learner, or seeker of knowledge. The almost 25 million Sikhs worldwide constitute the fifth largest religion in the world.